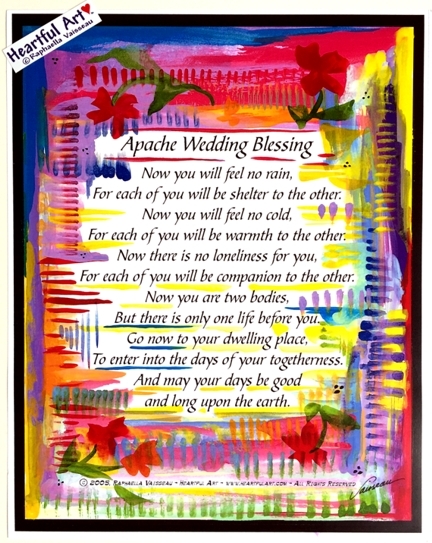 11x14 poster of Apache Wedding Blessing with art by Raphaella Vaisseau. This beautiful blessing is a popular gift for couples of any faith for engagements, weddings, or anniversaries. Cherish each other. Be in love.